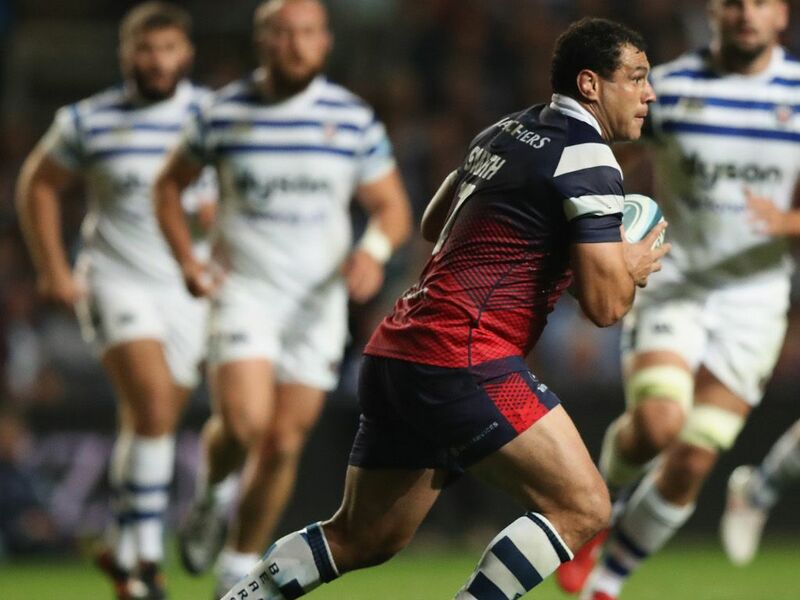 Bristol Bears flanker George Smith has been cleared to play after appearing before an independent disciplinary panel on Tuesday evening. Smith was shown a red card by referee Andrew Jackson in the 47th minute of the Premiership match between Saracens and Bristol Bears last Saturday. This was for an adjudged dangerous tackle on Saracens’ Jackson Wray contrary to law 9.13. Smith contested the charge and it was dismissed by the panel comprising Gareth Graham (chair), with Jamie Corsi and Olly Kohn. Smith is free to play again immediately. Panel chair Gareth Graham said: “The independent panel had the benefit of viewing this incident from a number of different angles. The footage did not clearly show whether or not there was direct contact between the Player and the head of Jackson Wray. “The panel heard evidence from Wray who said that he could not remember whether there was direct contact with his chin; he said that this was a big collision which was well-timed. “The player explained his actions in detail and assisted the panel by demonstrating how the tackle had been carried out. He demonstrated how the position of the ball was important as to how the tackle situation developed, as it created an effect whereby it caused Wray to bounce backwards in the collision. “The panel concluded on the balance of probabilities that the initial contact did not involve any direct contact to the head of Jackson Wray. Wray was off-balance in the tackle and the force of the tackle and the effect of the ball being between the two players caused Wray’s head to ‘whip’ backwards.